In this article, we have most important Government schemes for IAS Exam. Such schemes are very important in terms of IAS Mains Exam and it can be asked in IAS Prelims Exam 2018 also. So, the IAS aspirants must study important Government schemes before IAS Exam. Most important Government schemes for IAS Exam given in this article will help IAs aspirants to understand the Government’s approach to deal with the number of issues in the country. Such Schemes are very important for IAS Exam and it can be asked in the upcoming Civil Services IAS Exam 2017 and 2018. • The aim of the initiative is to bring in many changes in the country for the betterment of country’s economy, citizens, society, governance, security and other verticals. • In order to make the country free from many social issues such as poverty, corruption, terrorism, filth and others through awareness programmes. 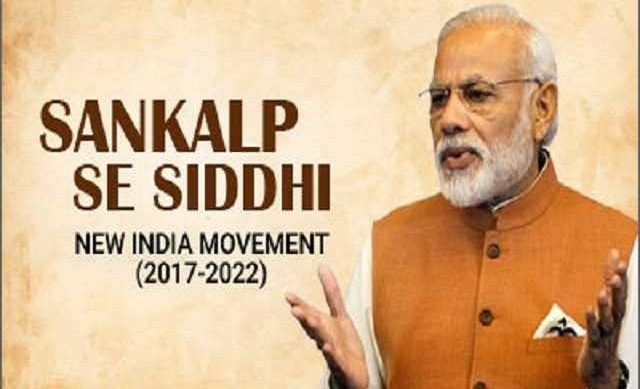 • Under the Sankalp Se Siddhi program, for the positive transformation, there will be awareness programmes organised for the citizens to know about the social issues such as discrimination, communalism, non-hygiene etc. by the new India movement. The major issues like corruption, poverty and illiteracy need an immediate attention from the government as well as from the common people in order to eradicate such issues from the society. Such issues posing as the major hurdles for the development of the country and that must be solved through a common solution on a priority basis. 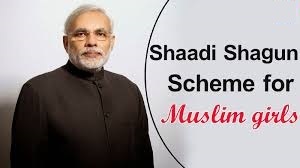 The government is planning to launch the Shadi Shagun schemes for the Muslim girls. Under the scheme, financial assistance of Rs. 51000 will be provided as a wedding gift to the girls of the muslim community who have co mpleted their bachelor degree. The aim of the scheme is to encourage Muslim girls to pursue higher education. • The scheme is applicable only for Muslim girls across the country. • A website is being developed by Maulana Azad Educational Foundation where all the information regarding the scheme would be made available. • The graduate Muslim girls who have already received MAEF scholarships will also be eligible to get Rs. 51000 as Shadi Shagun under the scheme. • A cash prize will not be provided to girls who have not completed their graduation degree. In case Muslim community, a large number of school dropout found among girls of the Muslim community. The cash incentive initiative of the government will motivate and encourage the parents of Muslim girl child to continue their school education until the completion of the graduate degree. The government has also plan to provide Rs. 10000 to Muslim girls who are already studying in class 9 and 10 while the Muslim girls studying in class 11 and 12 will be awarded Rs. 12000. The government has started pilot basis initiative of Tele-Law facility to provide free legal consultation through 1000 common service centres across the states like Uttar Pradesh and Bihar. Further, Government has planned to expand the scheme in other regions also in a phased manner after understanding the challenges and making the necessary corrections. • To ensure justice and empowerment of the poor in the country. • To provide easily accessible legal aid to marginalized communities and citizens living in rural areas. • To provide free legal consultation to such people of rural areas through 500 common service centres each in Bihar and Uttar Pradesh. The implementing authority of the scheme is the Ministry of Law and Justice partnered with the Ministry of Electronics and Information Technology to provide legal consultations through CSC’s at Panchayat level. The individual who seeks legal advice would be provided through video conferencing by the lawyers. A panel of lawyers who would be available to provide free legal advice through video conferencing would be provided by the National Legal Services Authority (NALSA). 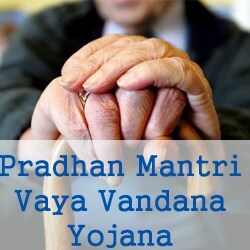 Pradhan Mantri Vaya Vandana Yojana (PMVVY), a new pension scheme launched for senior citizens to be implemented by Life Insurance Corporation of India. A senior citizen above the 60 years of age will fall under the scheme and they would be provided with an interest of over 8% for 10 years. The scheme aimed to provide more chances to senior citizens to earn a regular income and it would be available for one year from the date of launch. The central government would provide subsidy under the Pradhan Mantri Vaya Vandana Yojana (PMVVY). • The pensioner would receive the pension at the end of each time period (monthly/quarterly/half-yearly and yearly) chosen during policy purchase. • The pension would be transferred to the pensioner’s bank account through NEFT or AEPS (Aadhar Enabled Payment System). • If the pensioner dies during the policy term of 10 years, the purchase price would be refunded to the nominee of the beneficiary. • Minimum age of entry in PMVVY is 60 years; there is no maximum age limit. • There are a minimum and maximum amount which can be invested under the scheme. • Minimum pension under the scheme is Rs. 1000 which maximum is Rs. 5000 per month. • Upon premature exit, 98% of the invested amount would be provided to the policy holder. However, it is allowed only under exceptional circumstances like critical/terminal illness of self or spouse. • After completion of 3 years of policy, loan facility would be provided to the pensioner under which loan amount would be maximum 75% of the invested amount. • The policy can be purchased by paying a lump-sum amount. • No medical examination is required to buy the PMVVY policy.